I started making my own homemade version of this smoothie after having a similar one at a restaurant here in town called Fruitive. It’s one of my favorite treats after a tough workout or especially long run. 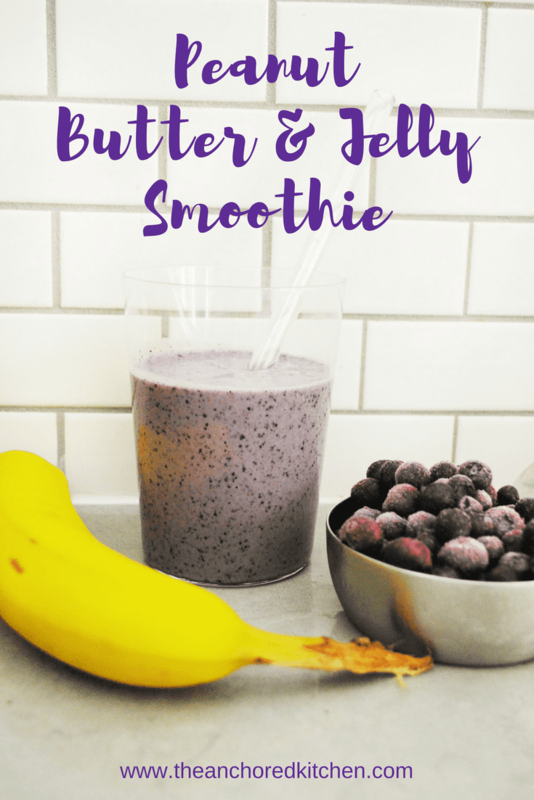 The peanut butter in it helps by providing protein and the fruit and makes it a delicious treat. My sons enjoy drinking it before school. I love to use homemade peanut butter (get Inspired Taste’s amazing recipe here), but store bought works as well, even other nut butters like almond and cashew are delicious mixed in. This is a great post workout snack or a great fast and easy breakfast to start your morning before work or school. 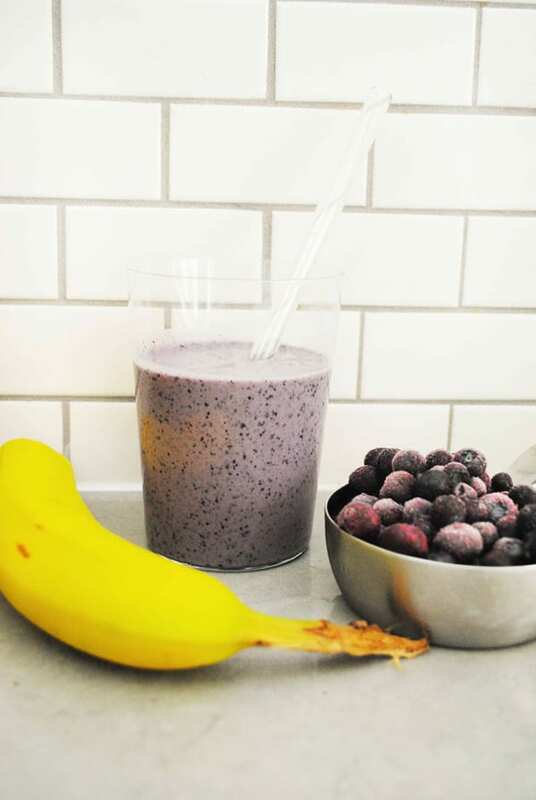 Add ingredients to a blender, and blend until smooth. Pour into a cup with a straw and serve.